John Rowe was born in Cornwall, and left in 1853 for California. Arriving too late to make a fortune John Rowe headed for the Victorian diggings in 1855. Upon arrival he tried his luck on Ballarat's Gravel Pits, the Eureka Lead and Sebastopol. 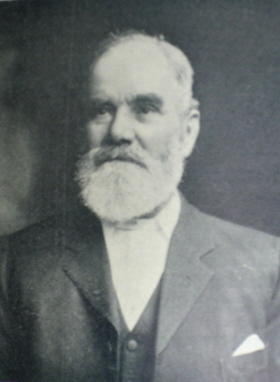 After a short time in Queensland John Rowe returned to Ballarat where he worked on the Inkerman Lead, followed by the Specimen Lead and Black Hill. In 1862 he started work at the Britannia Quartz Mine, becoming mining and general manager by 1867, a position he held for 14 years. In 1875 John Rowe enrolled at the Ballarat School of Mines (SMB) where he studied Metallurgy and Assaying. In 1880 the Britannia Mine closed and John Rowe moved to Launceston working as Manager of the Royal Tasman Gold Mining Company. He returned to Ballarat two years later to manage the Long Gully United Gold Mining Company. In 1885 John Rowe sought work in New Caledonia followed by South Africa. While in South Africa he received an offer from SMB to lecture in Practical Mining, an instructional innovation which involved weekly visits to some of the principle mines in the district. John Rowe took up this position in 1994, but it appears to have been a short lived innovation ending in 1996, possibly due to John Rowe's failing health. 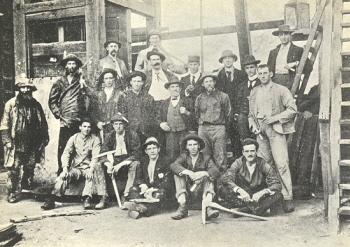 When the Amalgamated Mining Managers' Association was founded in 1885 John Rowe was a foundation member. The associated elected him President in 1901. He died in 1904 at Ballarat.